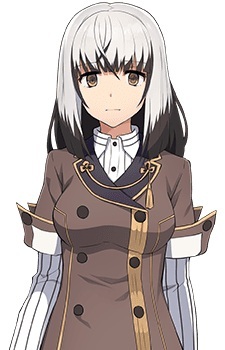 Among the members of the Elite Guard, she is the one who most often stays at Yukari Origami's side. She appears incapable of showing emotions, and will not engage in conversation unless necessary. She has shown another side of her personality, willing to do anything to obtain power, to be more "useful."